Steam for Linux doesn’t show any signs of fizzling out. Borderlands 2 recently arrived for Linux, even after Gearbox president Randy Pitchford warned Linux users not to get their hopes up. 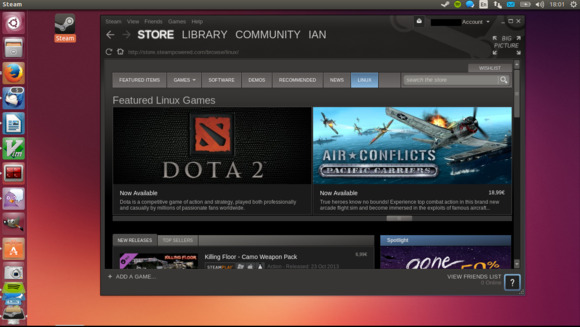 Steam also just hit a milestone of over 700 Linux games available—712 at the moment. A full 18 percent of all the games available on Steam now support Linux and SteamOS! That’s not a bad start when SteamOS—the root cause of Linux's gaming resurgence—hasn’t even been officially released yet. What’s more, Linux support is becoming more common in the gaming world. Beyond Steam, rival PC storefront GOG recently rolled out Linux support. Thanks to SteamOS’s open architecture, games from GOG could be installed directly on a Steam machine. Try getting games from outside the platform’s own store on an Xbox, PlayStation, or Wii! Let’s take a peek at what’s already available, and even more excitingly, what’s still to come. Borderlands 2 is the most-recent big-name game to land on Linux, released just last week. But it’s not the only one. Wasteland 2—the apocalyptic CRPG that took Kickstarter by storm—was also recently released on Linux. 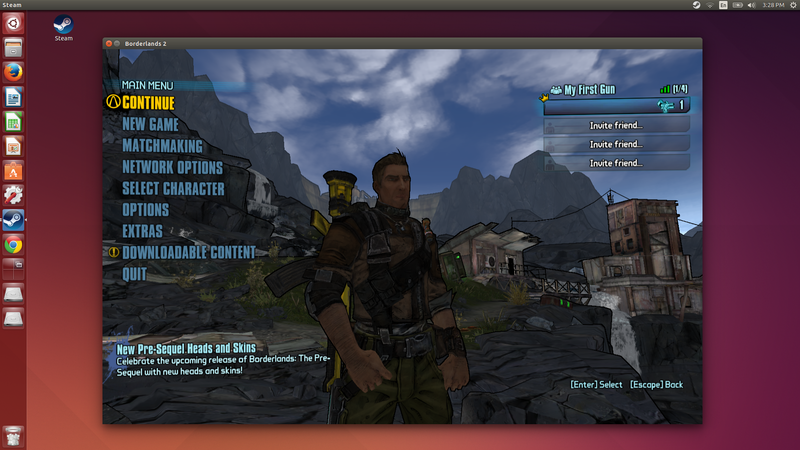 Borderlands 2 running in Ubuntu Linux. A quick perusal of the Linux Steam store reveals all sorts of big-name Linux games . A quick skim of the list of Linux games sorted by release date reveals more big games. Double Fine’s recent games—Hack ‘n’ Slash, Costume Quest 2, and Broken Age—all support Linux. Shadowrun Returns and its expansion, Dragonfall, also support Linux. Other recent well-known games for Linux include DG2: Defense Grid 2, Goat Simulator, Shovel Knight, Papers Please, Bastion, and TowerFall Ascension. Sure, the list is mostly made up of smaller indie games… but the majority of the Steam store seems to be smaller indie games at this point. Go back far enough and you’ll see some of the big-name games Steam for Linux launched with. Valve’s own games are well-represented, everything from DOTA 2 and Team Fortress 2 to Portal 2 and Half-Life 2. Other big-name games that support Linux include The Witcher 2, Serious Sam 3: BFE, XCOM: Enemy Unknown, Civilization V, Rust, Hotline Miami, Europa Universalis IV, and Starbound. 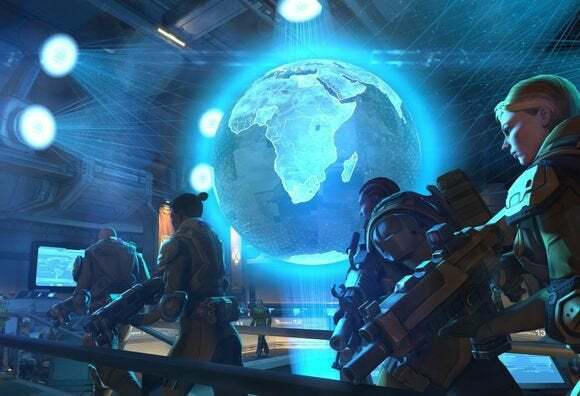 XCOM: Enemy Unknown is one of the highest rated (and utterly addictive) games in recent memory, and it's available for Linux. There are a ton of top-notch games that call Linux home these days—far, far more than were available just a few short years ago. And there are some big-name games still looming on the horizon. Borderlands: The Pre-Sequel is arriving on October 14, releasing with Linux support on day one. The Witcher 3: Wild Hunt has been confirmed for Linux, too—expect it on February 24, 2015. The Metro: Redux games and Divinity: Original Sin are already out on Steam, but they’re apparently being ported to Linux soon. Not every game releases with Linux support out of the gate. In fact, very few do. It’s still common for developers to release games for Windows first and then worry about porting them to Linux. Any game that works on SteamOS will also run on desktop Linux. It’s unclear when the Unreal Engine 4-based version of Unreal Tournament—known just as “Unreal Tournament”—will be released and if it will be released on Steam. However, it will definitely support Linux. But the most exciting Linux games news might be what’s happening under the hood of these titles. With more game engines supporting Linux—Unreal Engine 4, Unity, and soon Crytek’s CryEngine among the biggest ones—we can expect to see more Linux games hit the streets as the engines powering most of the industry’s top titles evolve to make cross-platform porting easier. When Valve announced SteamOS, they made a case to game developers that they should support support SteamOS (and thus Linux) for their future games. The big game engines have certainly jumped on board, and we’re seeing more games supporting now Linux than ever before. We’ll see how serious game developers truly are about supporting Linux over the next few years. Linux may not be able to dethrone Windows on your gaming PC yet, but Linux users have more games—even big-budget, AAA ones—available to them than ever. If you use desktop Linux, that’s a definite victory. Now Valve just needs to stop moving at “Valve time” and get those Steam Machines out the door. If Steam Machines don’t get a foothold in the market, we could see game developers—particularly the AAA developers—begin to lose interest in Linux. Linux gaming is definitely looking reasonably healthy, but realistically, it’s up to Valve to take the next big step.